I can't promise that the title will be my only pun in this article, but I can promise that I am over the moon (oops!) 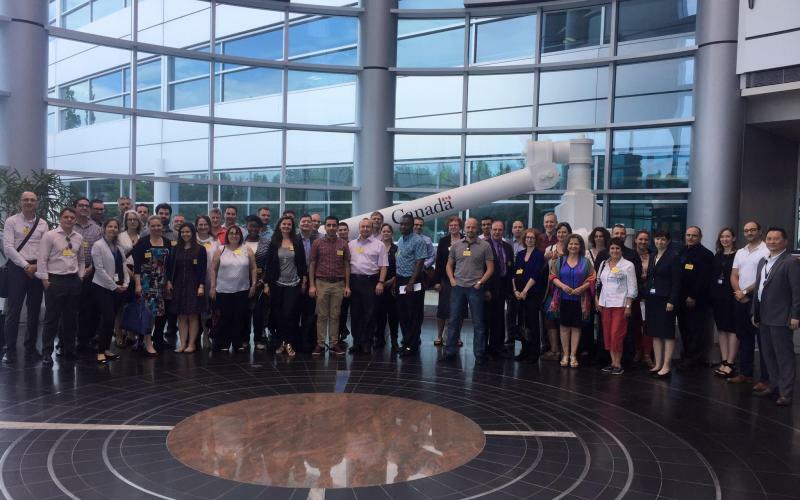 about the PMI-Montréal's 40th Anniversary Guided Tour of the Canadian Space Agency. We were given access to view the projects they are presently working on as well as to gawk in awe at the sheer size of some of their past projects. Even just standing in their lobby is impressive; the rotunda with floor to ceiling windows and sunroof where the blue cloudless sky peaked through, complete with hanging replicas of the 2 RADARSAT satellites, gives the impression of being in a cosmos. We met with Isabelle Tremblay, Director, Astronauts, Life Sciences and Space Medicine, and Xuan Khoi Nguyen, Engineer, Safety and Mission Assurance who introduced us to some of their colleagues and gave us some insight into their research and development projects, and the challenges they face that aren't so different from those of us with our feet firmly planted on the ground. Our first stop was with Simon Rocheleau, Robotics Engineer, at the Rover Indoor Workspace, an indoor terrain home to a fleet of rover terrestrial prototypes that allow for remote operation. Within the context of exploration, the current research is testing a U-shaped disjointed platform with a passive suspension. The design of the test rover is unique and mechanically smart as it allows the rover to keep both sides simultaneously on the ground regardless of the rocky, uneven surfaces of the Moon or Mars. Using a remote control, we watched the lab crew manoeuvre the rover through the test terrain and over boulder-sized rocks with ease. However, if a rover takes a tumble, it could potentially put an end to a costly and discovery-dependent mission. The projects of using a vehicle on Mars are long term and complex as they constantly aim to maximize their time in space; manoeuverability of the rovers, sustaining extreme atmospheric changes, prolonged battery life – and even testing nuclear batteries, all make up various iterative phases of these projects, with the end goal serving the purpose of bringing back samples, in their pure state, back to Earth for further research. Next, we stood with Mathieu Caron, Supervisor, Mission Control with thefull-scale models of Canada’s space robots Canadarm2 and Dextre!The real robots are installed on the International Space Station (ISS), which is approximately the size of 5 skating rinks! Canadarm2’s precursor, the Space Shuttle Canadarm, marked the beginning of Canada’s contributions to science, technology and innovation in 1981 aboard NASA’s Space Shuttle. As for Canadarm2, it helped build and now maintains the International Space Station, which is a collaborative endeavour between 16 countries. Partnerships and stakeholder management not only in the international sphere but also amongst universities and research centers reinforce Canada’s reputation and reliability. 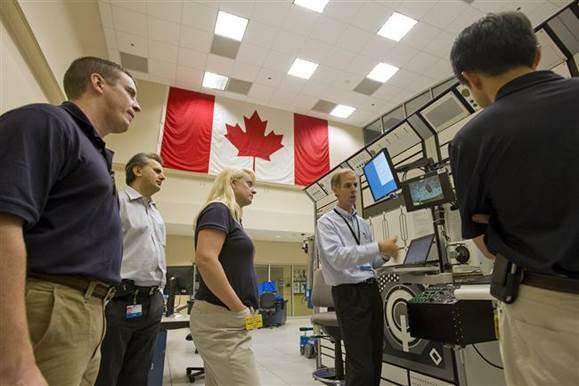 High levels of risk management also contribute to the Agency’s reputable standing; the Canadarm2 and Dextre, for example, were created with 2 sets of motors and 2 computers to increase the reliability. The duplication of critical components or functions is a widely used approach for increasing the reliability of space systems. Another notable feature was designing the robotic arm as a symmetrical architecture, so that either end can be used interchangeably as a base or an end-effector, which allows the arm to “walk” along the station, like an inchworm, from worksite to worksite. We visited the Payload Mission Control Center with Martin Richard, Intermediate Operations Engineer who explained the implications of space research and development for life sciences here on Earth. 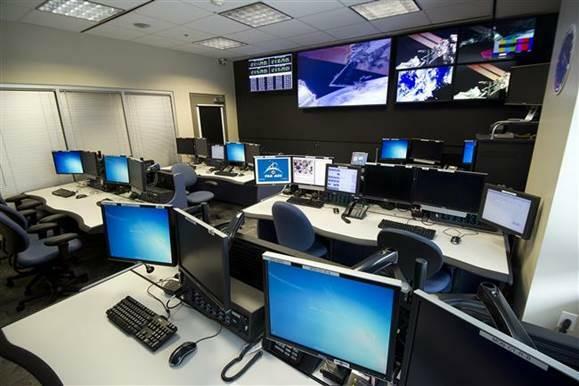 On the various screens in the control center, we saw live feed of planet Earth and communications between astronauts and Houston in real time. Time management is a huge component of this industry and time allotments with astronauts to conduct experiments is highly valuable. Click here to read about experiments that are measuring the effects of aging on our arteries and in bone marrow. In accordance to their mission, the Agency contributes to the advancement of science, innovation and technology through the research and development projects that it initiates. The iterative methodologies used along with the successful management of time and limited resources will continue to serve the Agency well into infinity and beyond! Many thanks from all of us to the professionals that guided our visit to the stars.